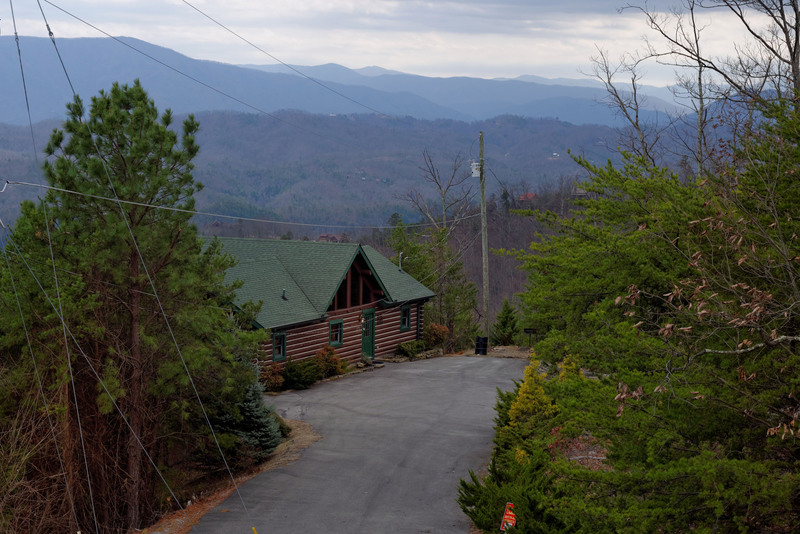 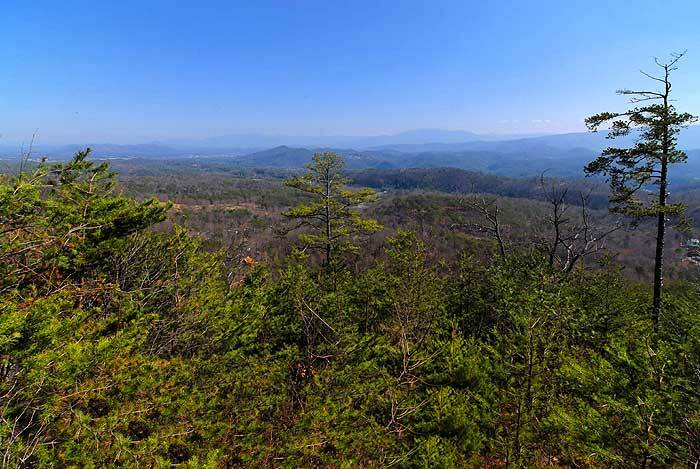 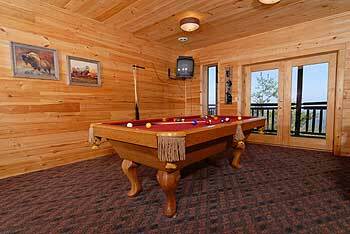 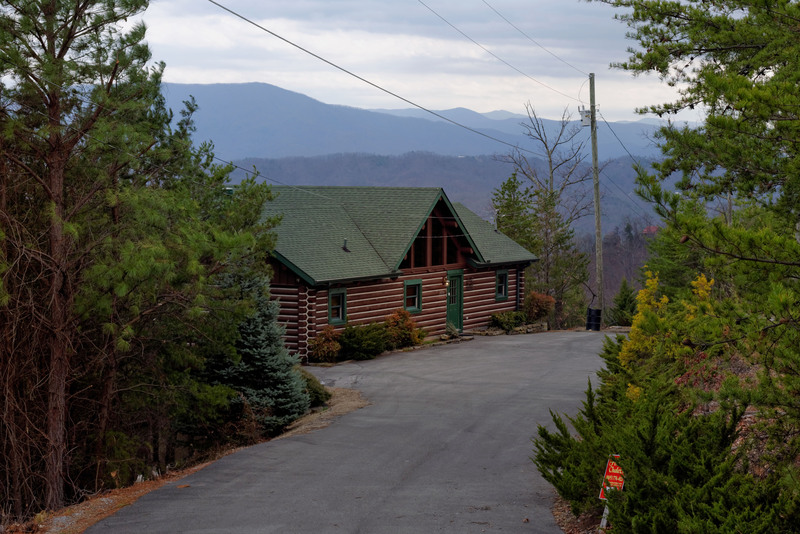 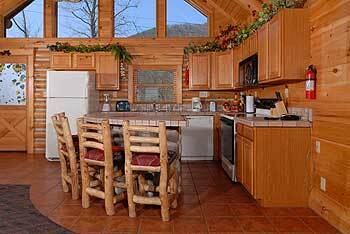 Pigeon Forge cabin rentals: Lodge Heaven , Bluff Mountain Chalet 307 is a 2 bedroom, 2 bath cabin located about 5 miles from downtown Pigeon Forge. 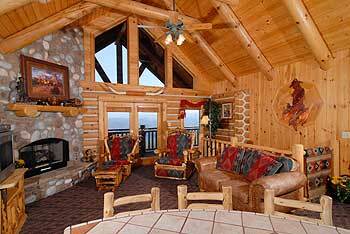 To say that the views are magnificent from this cabin, is simply an understatement. 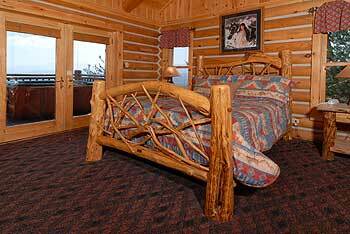 Not to mention the decor, which is tasteful and top-quality. 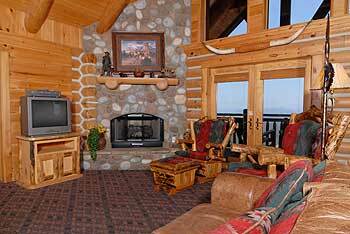 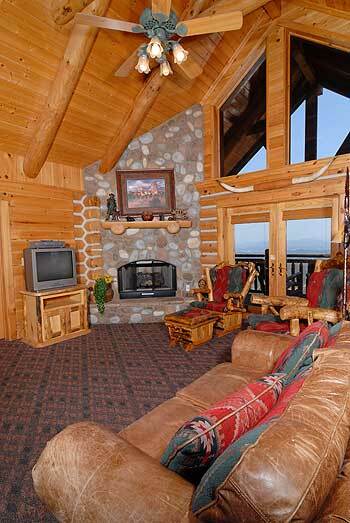 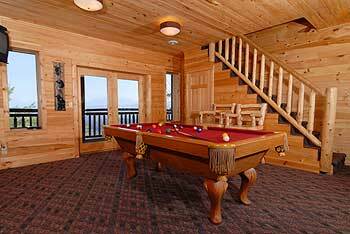 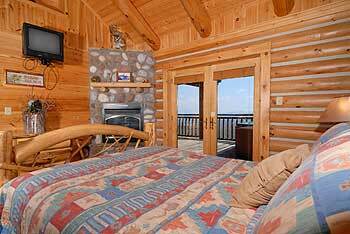 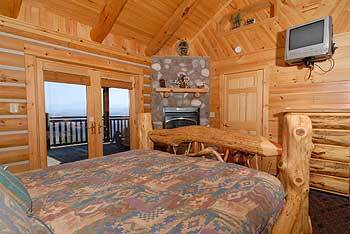 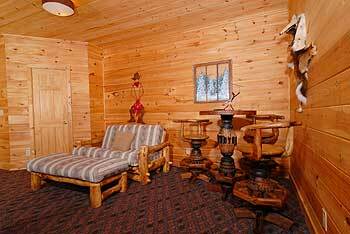 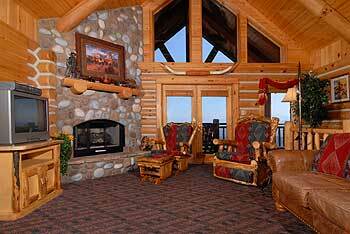 Lodge Heaven features a gas logs fireplace, 4 Color TV's with cable, 2 DVD players and 2 VCRs. 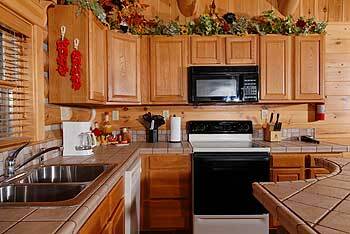 There is a full sized, fully equipped kitchen with; microwave and coffeemaker, washer/dryer and charcoal cooking grill. 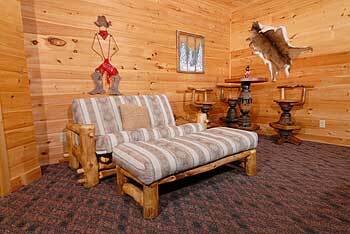 One bedroom has a king size handmade log bed and the other bedroom has a queen-size handmade log bed, plus, there's a futon in the game room area. 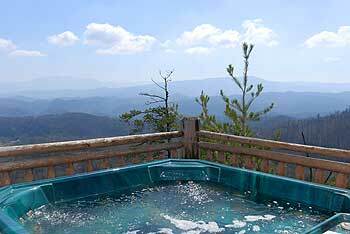 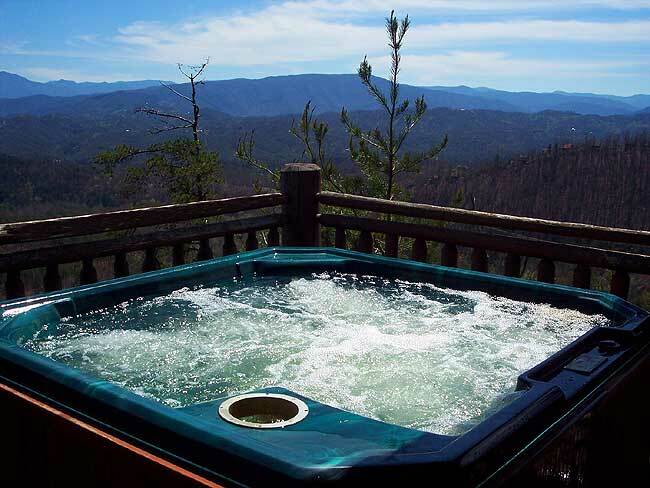 There is a hot tub on the deck, overlooking those incredible, vast mountain views. 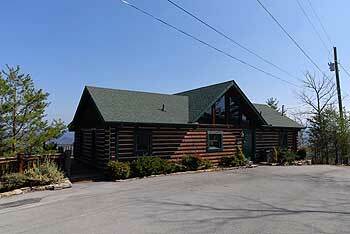 Come and enjoy this cabin's year round swimming pool access and an outdoor recreational area just a short drive away. 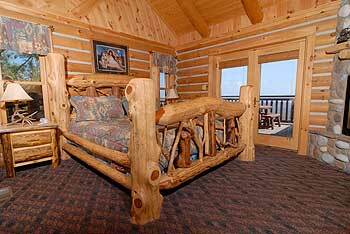 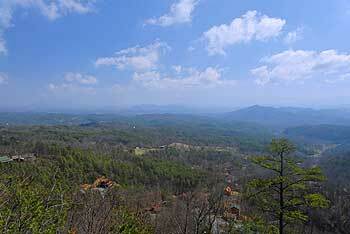 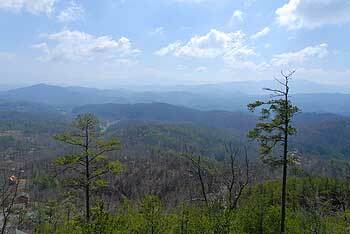 Feel Like you are in the Great Smoky Mountain National Park without having to leave the comfort of your own cabin. 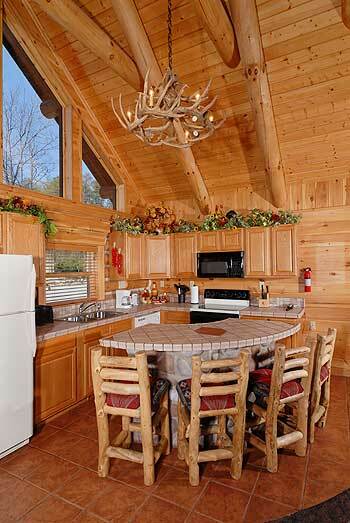 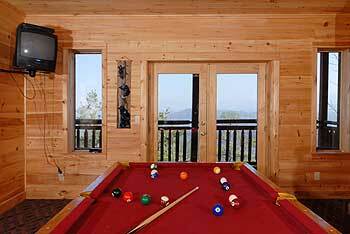 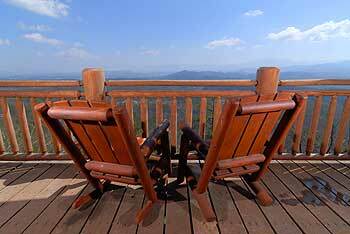 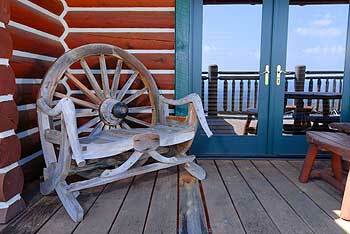 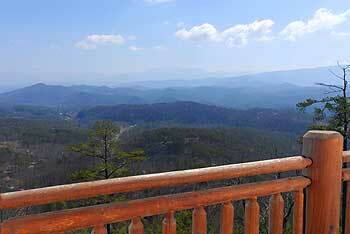 Lodge Heaven, Bluff Mountain 307, sleeps 6.